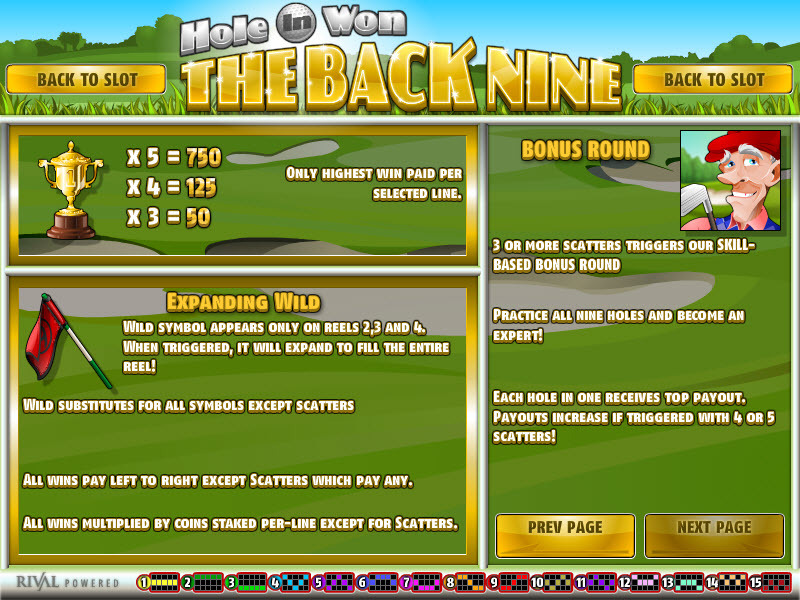 Overview: Gas up your golf cart and grab your niblick! 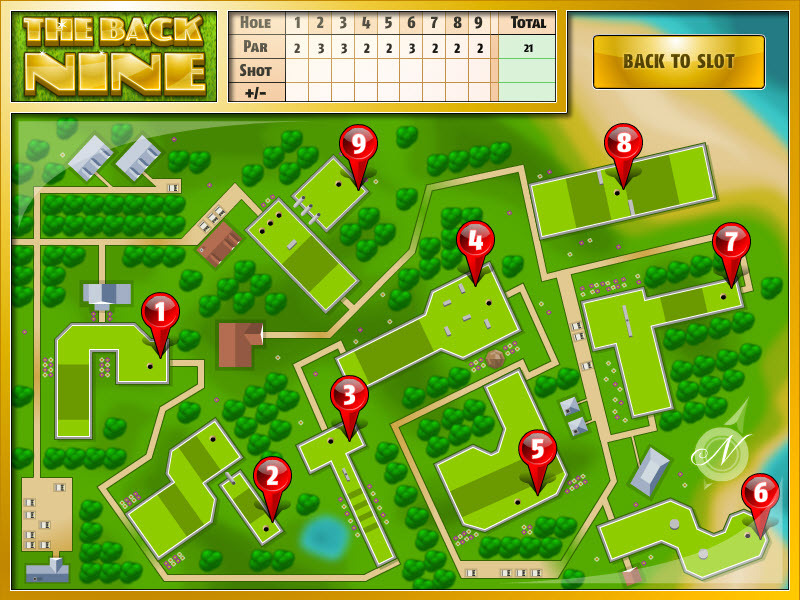 It's time to hit the greens again with Rival's newest i-Slot "The Back Nine". 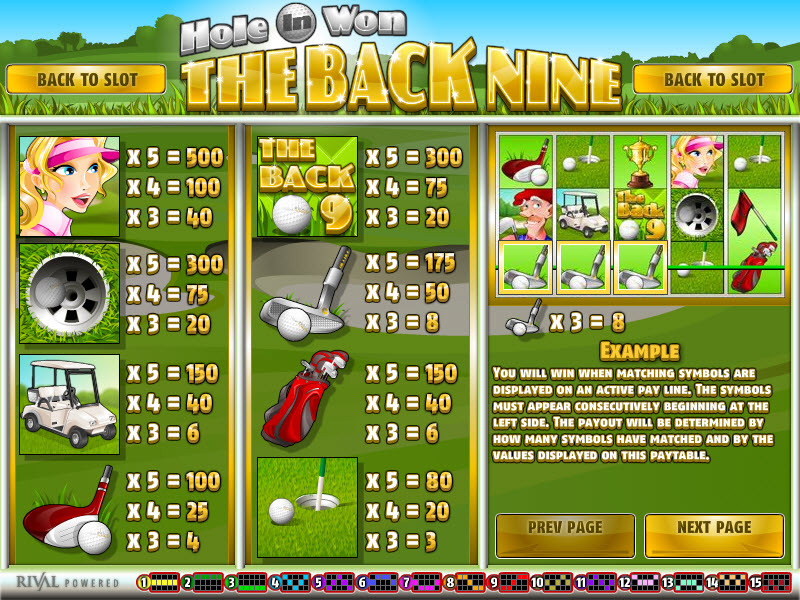 "The Back Nine" tees off from Rival's well received and highly successful "Hole in Won" i-slot and features new graphics, new animations and a brand new 3-D course of nine new holes for more fun and more chances to win. 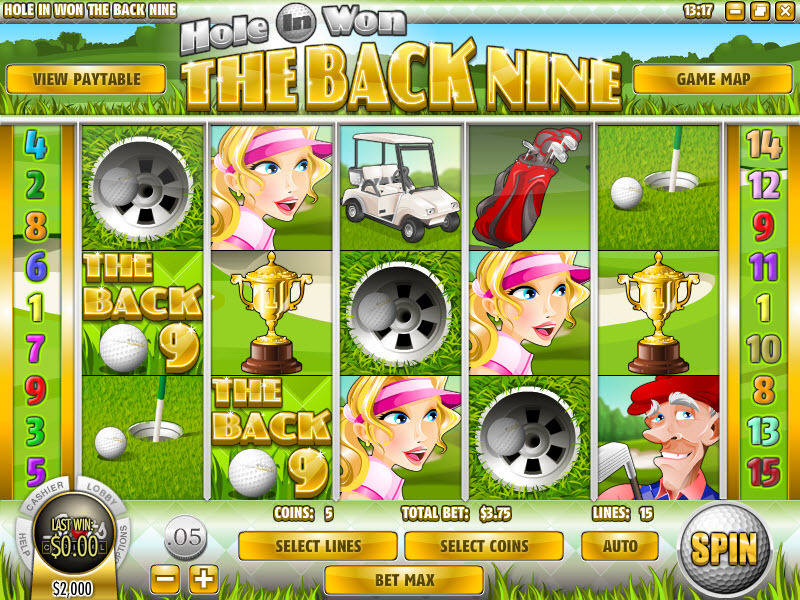 Similar Slots: If you like The Back Nine, you might like these other Rival-powered i-slots: As the Reels Turn 3, Baby Boomers: Cash Cruise, Cosmic Quest: Mission Control, Midway Madness, Rock On, Spy Game.